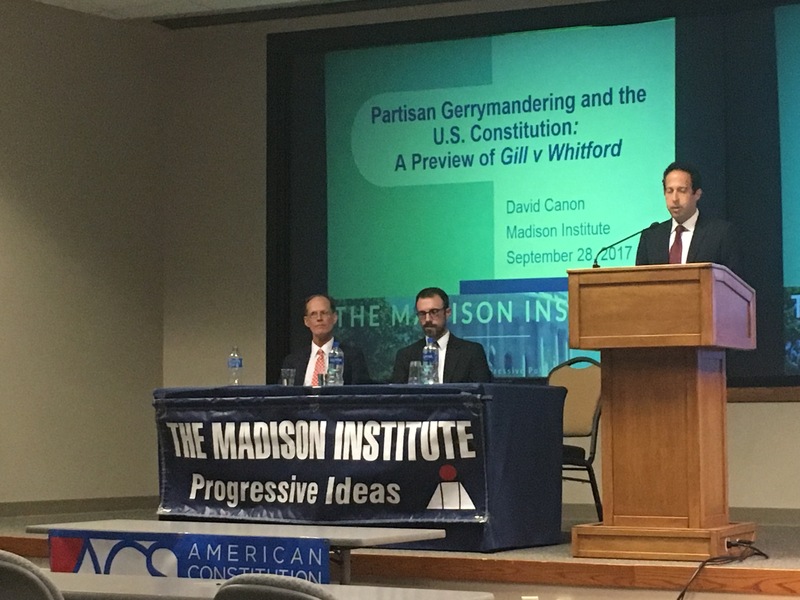 The Madison Institute held a lecture Thursday to discuss the implications and effect of gerrymandering in the Whitford v. Gill case. The case challenges the distribution of district maps, Rob Yablon, University of Wisconsin law professor. “[Gerrymandering] is the practice of dividing a geographical area into political units. Those other forms of gerrymandering raise their own issues. We’re mostly going to be leaving that off to one side,” Yablon said. Packing, Yablon said, is when similarly politically-opinionated people are bunched in a common area Yablon. Cracking, refers to when districts are divided to put a majority of one party in multiple district maps. “Why even bother to vote if the vote has already been preordained by the way the lines have been drawn?” Yablon said. He posed this question to have the audience consider polarization and intrenchment — two problematic effects of gerrymandering. 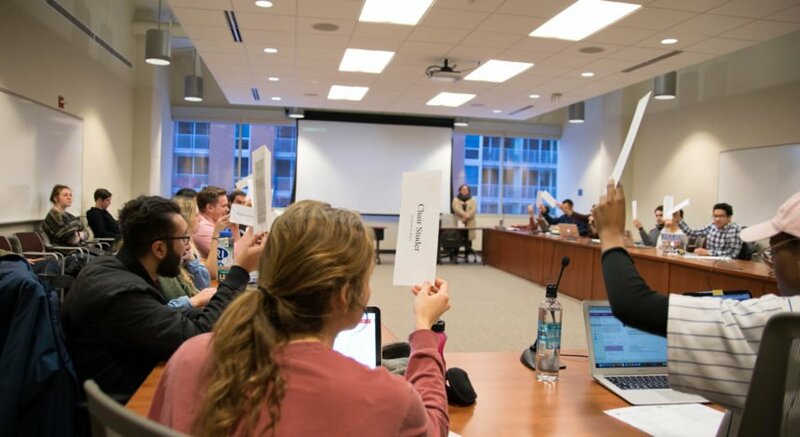 David Canon, a UW political science professor, however, believes lines can be drawn between districts to give an advantage to both political parties. “You can draw maps in a way that are competitive, and not give one party much of an advantage,” Canon said. Canon said a 7 percent increase or decrease of political opinion in each district is ideal for neutrality. This leads into the Whitford v. Gill lawsuit, which involves Act 43 — a plan which had an efficiency gap of -13 percent in 2012 and -10 percent in 2014. In this particular case, Republicans were favored. Canon said Republicans had an advantage, so the Democrats were essentially “wasting” their votes. 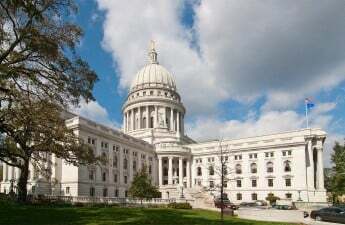 Barry Burden, another UW political science professor, wondered why this didn’t gain immediate concern from Madison judges. 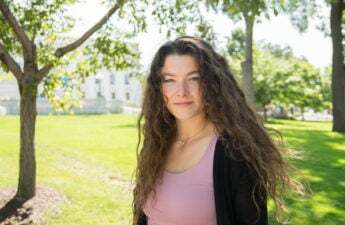 “On what bases were the judges in Madison willing to strike down the maps? This is where the political scientists entered,” Burden said. Burden was concerned with the advantage mapmakers have because of current technology. He said they can draw an extreme partisan without the general public knowing by making minuscule details to the district maps. Canon later commented that although a 7 percent increase or decrease may be ideal, it may not be realistically possible. 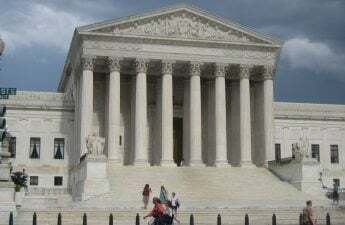 The debate on whether gerrymandering is constitutional or not still remains, and will be evaluated in the Supreme Court in October.